Collects Quasar #10-25. 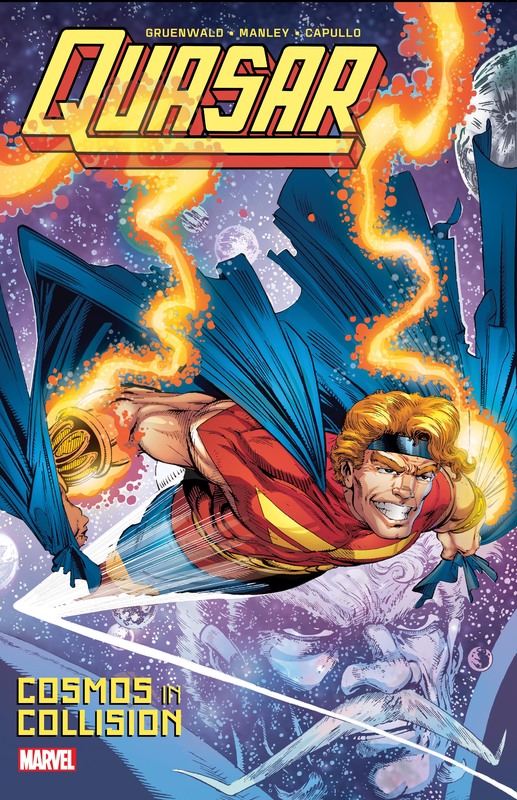 Quasar takes on Maelstrom in the fight of his life! As Protector of the Universe, Wendell Vaughan takes his job seriously, but he’s only human — and his cosmic mentor, Eon, has long warned of a looming threat that will destroy all that is. 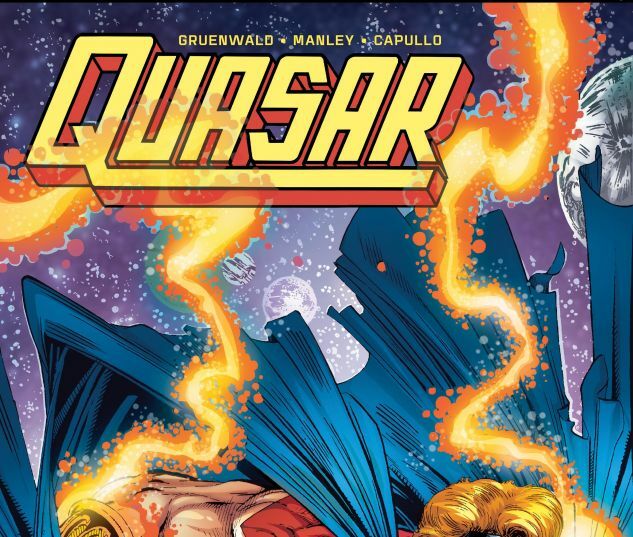 Can Quasar possibly prepare himself for the mind-bending battle to come? Meanwhile, Captain Atlas and Doctor Minerva want Quasar’s quantum bands — and they’re not the only ones. And when the members of the extradimensional Squadron Supreme find themselves stranded on Earth, Quasar must aid them in a galactic conflict between the Stranger and the Overmind! Plus: Wendell’s new employee is hiding a dangerous secret! When Maelstrom strikes, Quasar is thrown into a perilous journey beyond life and death — from Infinity to Oblivion and more. Can he emerge a new man and stop a cosmos in collision?